Right click on the CIS system tray icon and select 'Game Mode' from the options. The alerts are now suppressed. 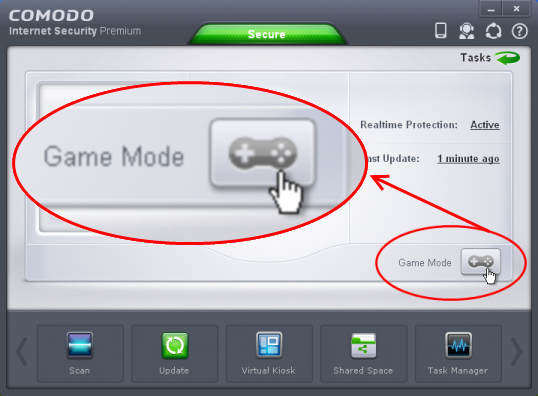 To resume alerts and scheduled scans, just de-activate 'Game Mode' from the home screen or the system tray icon right click options.